In the world, urban planning is gaining a new dimension to adapt itself to new technologies every day. 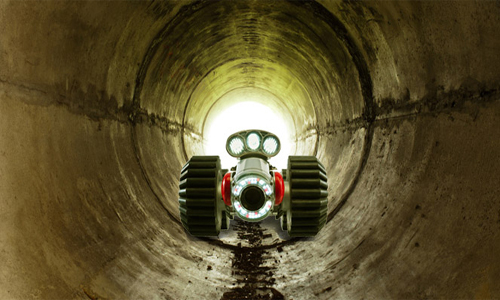 We offer CCTV inspections of Sewer Lines, Storm Drains, Culverts, Remote Lines, Manholes and Water Lines from Ø 50 mm to Ø 2000 mm. All of our video units are equipped with the latest technology to offer the finest picture quality available in the industry including the capabilities of digital capture in MPEG and JPEG format. Every camera has the ability to pan and tilt to provide the best view of defects and lateral connections. All video operators are PACP/MACP/LACP Certified. This universal coding system is capable with WinCan, Granite XP , PipeLogix and POSM surveying software. In addition each operator is instructed per project according to your specific needs. Daily production figures range between 300 - 500 linear m per day depending on the criteria for inspection and condition of the pipe. Quality along with production has always been our goal. To insure the highest quality product is delivered to our client our quality control department is also responsible for data tracking, implementing databases, creating observation codes, establishing fully integrated rating systems and complete operator training.